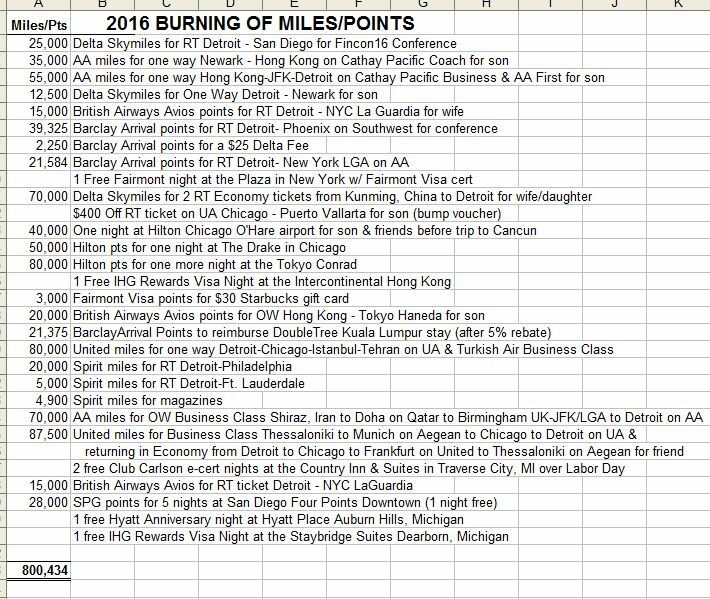 Another annual summary of how I burned some of my millions of miles and points, hope you enjoy it as much as I did 🙂 You can do it tooooooo! !<————TWO strategically placed exclamation marks, BOOM! I count these when I book them, not when I do my travel (except for the hotel free nights!). I still have banked 3.5 million miles and points. I have changed my approach in how I go about doing this as this hobby has dramatically changed in the recent years. We all evolve and change. I know others in this hobby who still earn thousands of dollars (as in CASH) hitting deals. Oh yes, almost all of these deals are underground now as the mega bloggers can’t wait to get their hands on them to publicize to increase clicks on their blogs and of course credit card sales. I just don’t have the time to do this anymore, I have other priorities and interests and my time is short. Does this hobby still have value? Yes, of course. Look at what I did without even trying much! Is it harder to squeeze value out of it? Oh yes! We had the golden era of this hobby in the first decade of 2000s, it’s been a long devaluing down hill slide ever since. Coincidentally, the road to oblivion started with all the expert hackers posers who got started/stayed in it because of the money banks started shoving at them for selling credit cards. I don’t see it getting better anytime soon, I advise you get another hobby. The revenue based hurt is here to stay! And now it is tax time baby! You haven’t been to Munich in a while, George. Time to burn some miles! Oktoberfest! Next time I get to Greece I will try to stop by in Munich! You send your wife and kids in coach to/from china/HKG but your daughter’s friend gets to fly in J. No wonder you have groupies. Lol…Family friend flying in J was a complete fluke based on availability and her limited options! When I pressed the button, it really really hurt! Nice burning! Hey even at 800,000 of burning it’s a good year. We aim for 1.5mil per year at our household, but it spills over into a lot of airline tickets for family members and Hilton points inflate those numbers by about 50% as well. So we try to earn 1.5-2mil per year as well, I think 2016 was still about the same as 2015. As for cash/GC side of things, there are a lot of value you can extract from credit card sign up bonuses and convert it to cash. 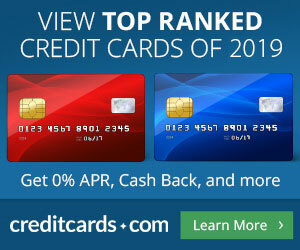 2016, especially with Barclay’s Luxury $1,000 sign up, or CapOne Sparks $500, or Arrival+ $500, or American Express targeted Platinum Biz, Gold Biz cards at $1,000 each, Amex Gold $300, Green $300 (after 25% juice from Charles Schwab card conversion and $500 on that card), gift cards from Southwest point conversions, gift cards from Amex Platinum cards, gift cards from Wild Orange Premium Diamond Card — alright I made that one up. Get that x2 with your spouse, and you got a nice chunk of a river house paid down and fully furnished. All of this did not impact the travel miles/points side of the equation, was happening in parallel. None of this is news to TBB readers, all of this gets posted through out the year. All I have booked right now is a Pointbreaks hotel locally for Valentine’s and a Spirit RT to Ft. Lauderdale. Waiting for brother to make up his mind when to go back to Greece to help out mother….And wife is just permanently hurt by looking for AA award space and I think she has given up…Hey, to learn you gotta do the time I say lol. No post tomorrow, I need to dial this baby down. All 1099s are in for clients, it is tax mode now! To help your wife with the AA award booking, I heard that there are these things out there called award booking services. Expert bloggers will personally help her book her seats. BTW, this is how they make their money. Or you could have stopped that activity and saved up for the amazing CSR experience. Here’s a little h/t game. Yesterday I had a genuine exclusive about a bar at London Gatwick which is now in Priority Pass and is giving out £15 of free beer to everyone. OMAAT runs it 30 hours later, h/t to me. PMM runs it a couple of hours later, h/t to OMAAT. Live & Let Fly runs it a couple of hours later, h/t to OMAAT. you read too many terrible blogs. I don’t read them, they sit on the BA home page! I still cant believe you only burned 800k miles/points. that seems so low? What’s your number, big boy? Did my conferences, spent 2 weeks in Iran, 3 weeks in Asia (with son spending 2 months and wife/daughter 1 month). Squeezed in Fincon conference and Philadelphia weekend. And got friend to visit from Greece and son scammed some more miles from me. Every year is different, 2016 sure was. Empty nester era is near, mother in Greece with issues, TBBing is a habit that is way too high on my priority list, business is blooming (thanks Trump—>joking, not really)…life is good. In the meantime, Miles Per Day does an interview at MMS and the Bengazi dude thanks TPG for taking him to the Grammy’s. And here I am clearing 40 cents this week.Probably the one feature of blogging that just blows! In the Imaginary Saturday post. I should have a post tomorrow…maybe. Enjoy the weekend everyone, get away from the computer! You have Spirit miles? Bank of America Spirit Airlines CC? Actually those 5,000 RT awards with cc can be an excellent deal. If I was single without a care in the world working remotely that is lol. At least you actually used your Spirit miles. I didn’t use the miles when I had the BofA Spirit CC, so I couldn’t take advantage of the discounted awards and then after I closed the card, I redeemed for a few magazines and forgot to touch the miles after that and let 20k expire. F me!